When you work outdoors you have to face the unpredictable – wind, rain, freezing temperatures, snow and more. Construction deadlines, airline schedules, downed powerlines and other emergencies – none of those care about inclement weather; you have to get the job done no matter what. There are unique challenges to working outdoors – facing those challenges to stay safe and productive is key to success. Protection isn’t as easy as it seems. There’s more to it than just throwing on a jacket and some gloves and getting to work. When you work outdoors, staying warm in colder weather is paramount. 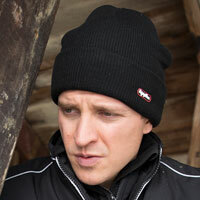 However, you also need protection from the elements and gear that will keep you safe on the job. From preventing common workplace injuries to the concerns of cold, wind and rain, a number of issues need to be factored in when choosing the right gear for you and your employees. Weather can change quickly, so think about layering to stay protected no matter what Mother Nature decides to throw at you. Consider your activity level as well; the more you move around, the more heat your body will generate. But if you think in terms of “layering,” you will be able to put on or remove items as conditions change. 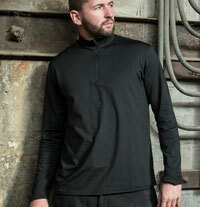 Base Layers – This is your foundation to help wick moisture away from your skin and keep you warm. Jackets, Sweatshirts or Vests - Choosing the right garment for your conditions is critical. Jackets, sweatshirts or vests keep your torso warm and protected, and since this is where your vital organs reside, you must choose correctly if you want to stay productive. Remember that it’s not just about staying warm – choose gear that will help you fight wind, rain, snow and more. From sweatshirts, and fleece to -60°F comfort-rated jackets, the right combination exists to stay warm no matter the conditions or job duties. Pants, Bib Overalls or Coveralls – You may opt for pants, overalls or coveralls, depending on your environment and personal preference. These products also come in a variety of comfort ratings, but protecting your lower body from the cold and other elements shouldn’t be overlooked. Stay Visible with HiVis Gear - Bad weather can mean low visibility. Machinery can make people difficult to see. When you are exposed to low light or high traffic conditions, wearing HiVis gear keeps you visible and safe. Whether it is a mesh vest or an ANSI Class 3 jacket, the right HiVis gear will help keep you safe. Why are the feet so important? First, if your feet aren’t comfortable, no part of you is. Keeping your feet warm and supported is important to overall comfort and health. If you are thinking about how much your feet hurt, you aren’t thinking about the job. The right footwear also helps prevent cumulative injuries like back pain and helps fight fatigue when you are on your feet all day. Second, slips, trips and falls are the cause of most workplace injuries. 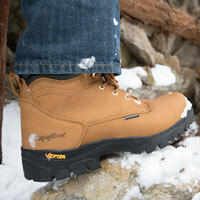 Proper footwear helps prevent these injuries by reducing the chance of slipping in hazardous conditions. When temperatures drop it isn’t just the air that gets cold. The equipment you work with gets cold too and can transfer that cold to you when you touch it. Insulated gloves protect against the cold air and from cold transfer while you are working. Don’t just worry about the cold when choosing gloves – hand injuries can be costly, and keep employees out of work. 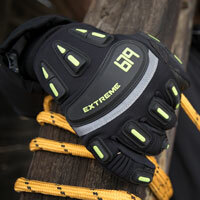 Pick gloves that protect against injuries with features like impact protection. Other features to consider include touchscreen capabilities and waterproof needs. Hard hats aren’t known for their warmth. Neither are ball caps. Luckily there is headwear that helps protect the ears, face, neck and head even when wearing protective hard hats or ball caps. When every part of your body is protected you can focus on what matters – getting the job done. The proper protection against workplace hazards and conditions means better performance. Why? Because when dressed correctly, you can focus on your job and be alert to stay safer. Your body isn’t wasting energy on trying to stay warm or cool, and you aren’t distracted by your discomfort. Once you know the type of gear you need to stay protected, look for features that help you and your employees be even more productive in outdoor working conditions.